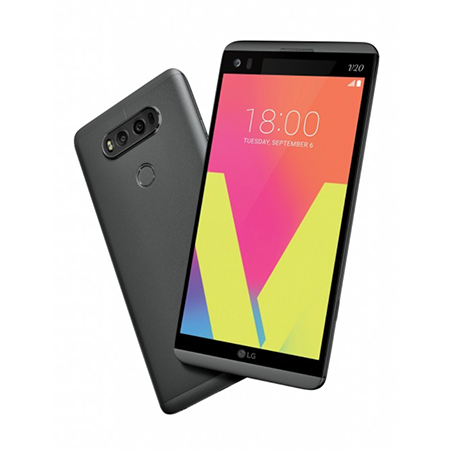 The LG V20 has been confirmed as the first smartphone in the industry to feature 32-bit Hi-Fi Quad DAC (digital to analog converter) capabilities. This will allow your handset to offer a superior audio experience that comes closest to a live performance. The 32-bit Hi-Fi Quad DAC will also offer a 50% reduction is ambient noise levels. Stream sound in the highest quality heard yet and enjoy B&O Play certified sound. 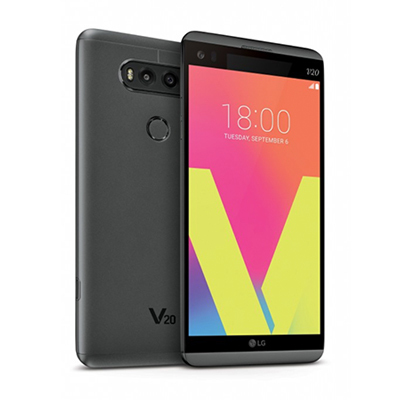 One of the first handsets to run on Android 7 (Android Nougat) out of the box, the LG V20 offers more information, quicker interface and greater flexibility on the Dual Window Display. Enjoy the updated notification features that lets you reply to messages instantly, or double tap to access the last app you were using. A dual 16MP (f/1.8) + 8 MP (f/2.4) main camera setup, along with front and rear Wide Angle Lenses give you three times more room to fit everyone in the frame. A front 5 megapixel camera an Auto Shot allows you to take the perfect selfies without pressing a button. makes taking selfies a breeze. Capture sharp, smooth video with Ready Record 2.0, minimising the effects of unintentional shake. Enjoy a clear experience on the 5.7" Quad HD IPS display, 513ppi, with 2.2" 160p secondary display and Always On feature. Powered by a Snapdragon 820 chipset: quad-core (2x2.15 + 2x1.6 GHz) Kryo processor, Adreno 530 GPU and 4GB RAM you'll never miss a moment on Android Nougat again. Store more with up to 64GB of built-in storage, expandable via the microSD card slot by up to 200GB.